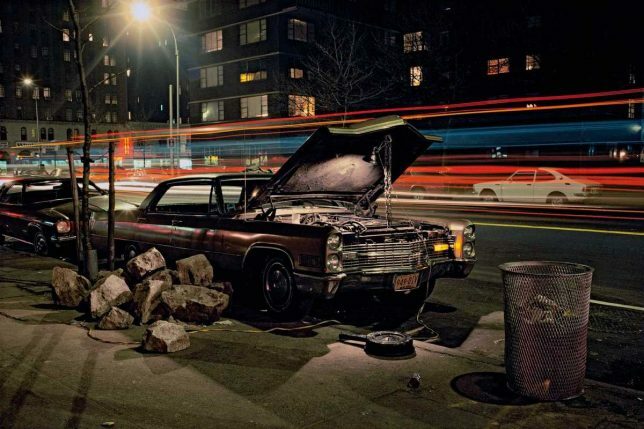 Photographer Langdon Clay captured New York‘s bruised & battered road warriors at rest, evoking a dirtier and more dangerous era of the city that never sleeps. 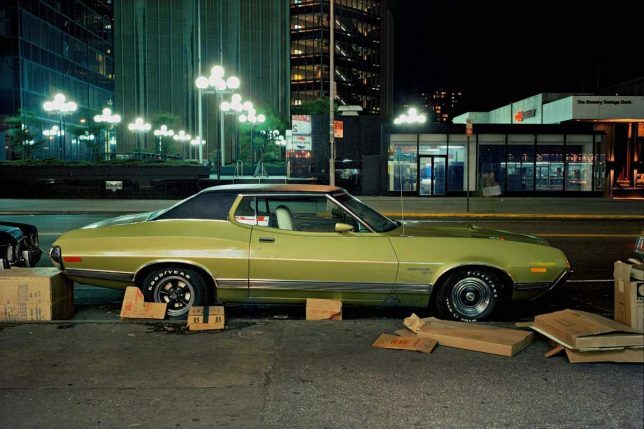 New York City in the 1970s was a city on the slippery slope to disaster; a major metropolis whose decline into bankruptcy, pervasive corruption and rampant crime portended a grim dystopian future fit for the likes of Snake Plissken. 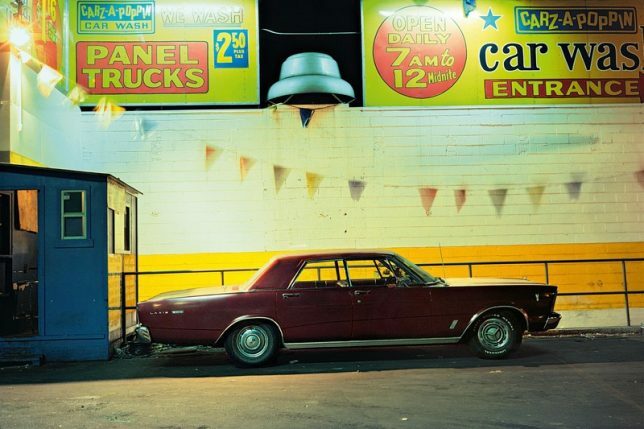 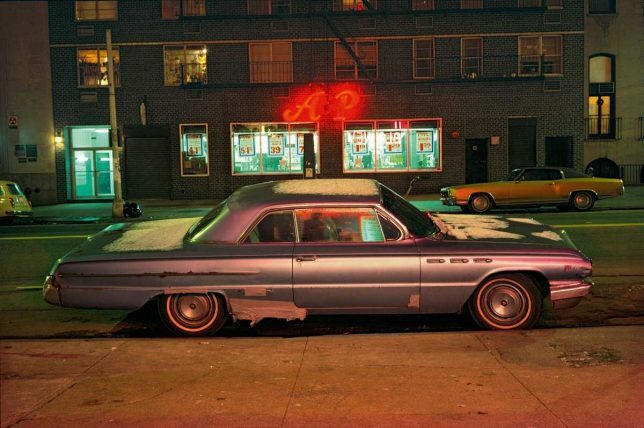 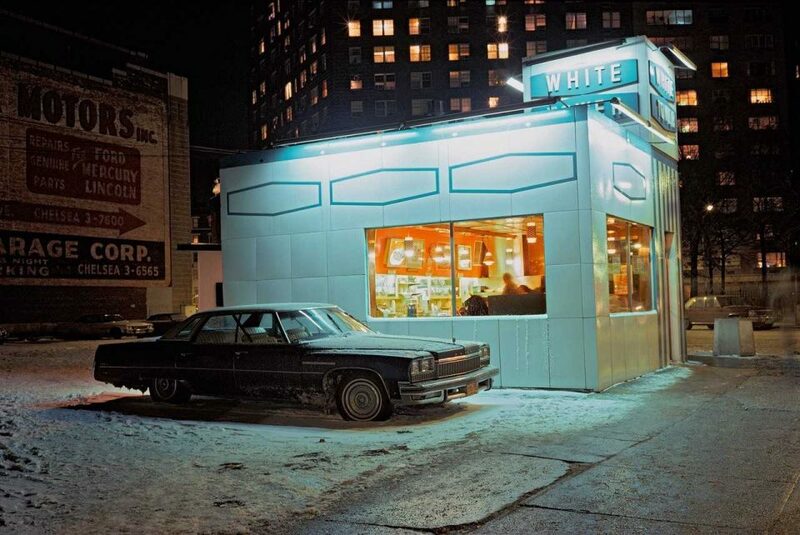 Armed with only his trusty Leica camera and rolls of Kodachrome film, Langdon Clay ventured into the Big Apple’s littered streetscapes, finding a fitting iconography for troubled times amongst the oft-filthy and snow-encrusted parked cars sheltering under the unforgiving glare of sodium-vapor streetlights. 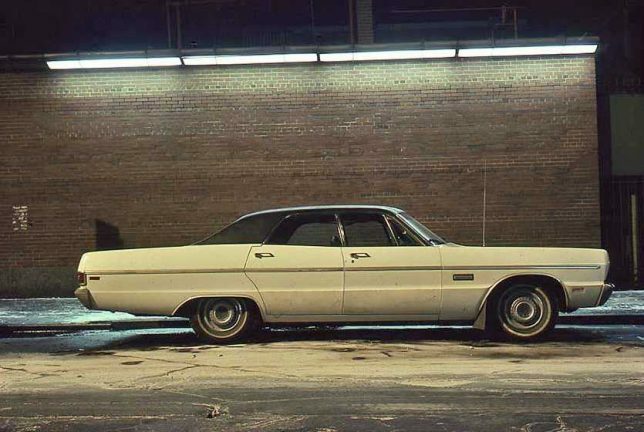 From 1974 through 1976, often in winter and always after dark, Clay roamed the streets of New York and nearby Hoboken, New Jersey seeking out likely land-barge subjects. 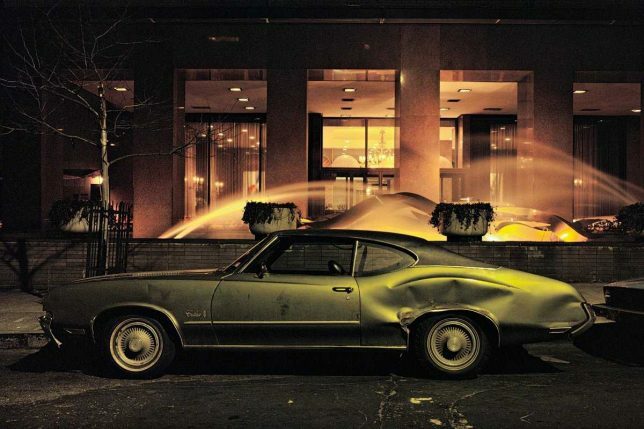 Most – though not all – of his photos depict used and abused Detroit iron of the Malaise Era with a few stubborn survivors of the Space Age tossed in for good measure. 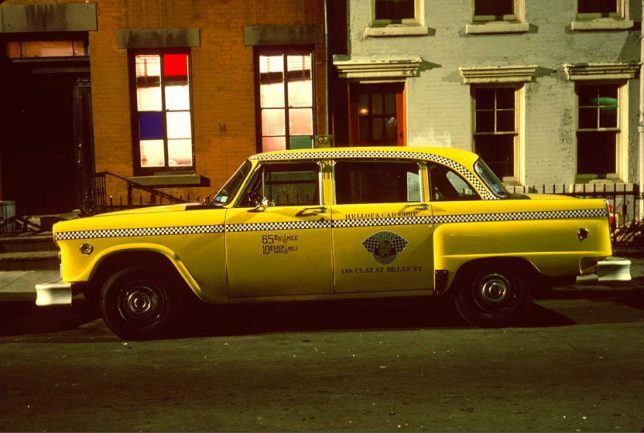 Of course, no expose of New York’s cars would be complete without a Checker or two: the pair above includes one once-ubiquitous New York cab and a rarer, privately-owned Checker Marathon. 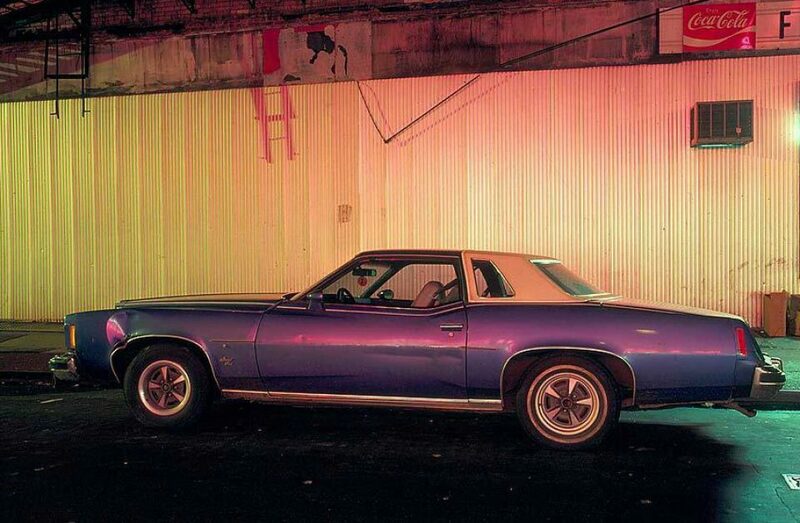 We’re not sure why it took Clay forty-odd years to publish his collection of mid-seventies car photos… perhaps, like fine wine, a significant passage of time was required to imbue his subjects (and their surroundings) with the flavor of their long-passed era. 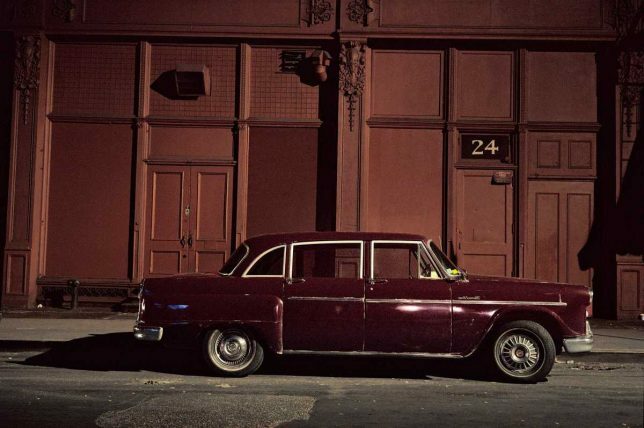 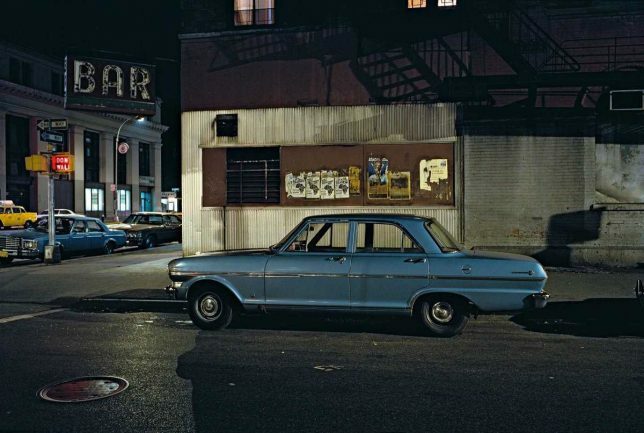 In the event, “Cars – New York City 1974 – 1976”, published by Steidl, features 96 photographs spread over 132 pages.